We have begun to read in support of those who are affected by Multiple Sclerosis. Every day, 3 Canadians are diagnosed with this disease. But we can help! 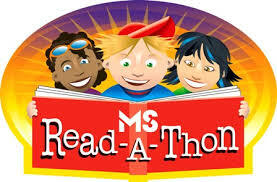 Today was our kick-off assembly for the MS (Multiple Sclerosis) Read-A-Thon. Each student is being asked to read and raise money in support of those who have been affected by MS. All proceeds go to the MS Society of Canada. We are encouraging students to register online and have people donate through the MS Read-A-Thon Website (MS Read-A-Thon). However, if you would prefer more paper copies like the one going home today, please send a note to school and your child`s teacher will make sure some are sent home.